Adani may have to wait up to two years to receive two environmental clearances for its Carmichael coal operations in Queensland, according to a Queensland Government official. 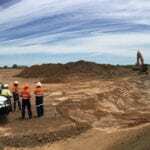 The Queensland Department for Environment and Science has said two approvals were required to start construction for the Galilee Basin project. One relates to a plan to protect an endangered bird species, the black-throated finch, and another to identify the source aquifer of ground water in the area. According to Reuters, Queensland’s Resources Investment Commissioner Caoilin Chestnutt commented during the Coaltrans conference in New Delhi that she believed environmental approvals could in theory be given in the next several months. 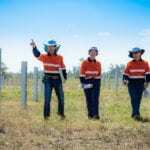 Chestnutt’s agency is not responsible for issuing environmental approvals for the project, which is regulated by Queensland’s Department for Environment and Science. 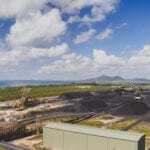 The Queensland Department of Natural Resources, Mines and Energy (DNRME) has since issued a statement saying the Investment Commissioner’s role was to attract business investment to the Queensland resources sector. “She is not authorised to speak about any specific environmental approvals as the Department of Environment and Science is the appropriate organisation,” the DNRME spokesperson said in a statement. According to Adani, this is an extraordinary statement from a Queensland Government representative. “We have completed an eight-year approval process for the Carmichael Project and we are waiting for the Queensland and Australian Governments to finalise the two outstanding management plans,” an Adani spokesperson said. “Established industry practice indicates that the final review and approval of such plans typically occurs over a matter of weeks. The coal project has been contested by environmental activists since it was first proposed eight years ago due to global warming concerns and the potential impact of its port on the Great Barrier Reef. “We continue to receive assurances from the Department of Environment and Science that no decision has been made yet on our management plans, and yet this statement suggests the exact opposite,” the Adani spokesperson said.